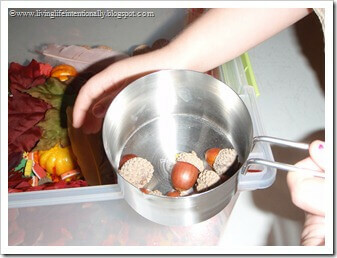 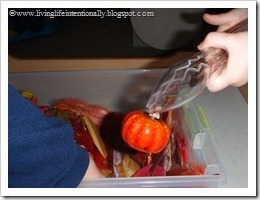 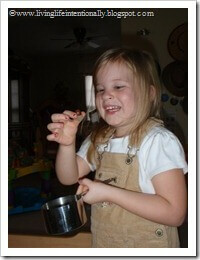 Kids are going to love getting their hands into this colorful fushion bead based sensory bin! 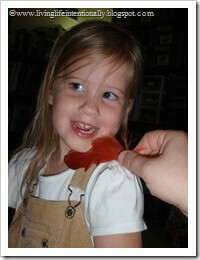 Feathers to sort, touch & TICKLE! 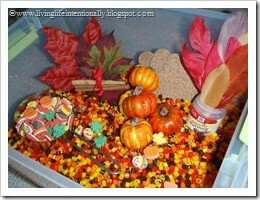 Foam fall shaped beads to sort, organize, touch, and feel. 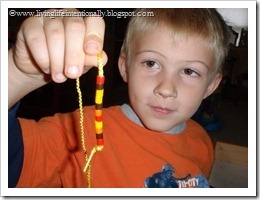 Goofy enjoyed stringing the fusion beads on a shoe lace to make a necklace. 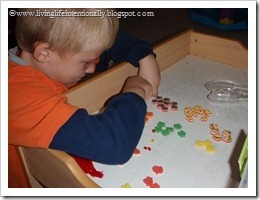 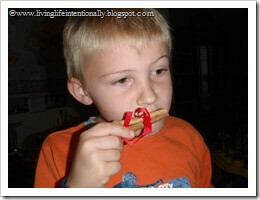 They were so small it ended up being a great fine motor activity for him!